It’s no secret that Microsoft office suite reigns supreme in the market, but that doesn’t mean it’s the only way to go. From open-source software to Web-based applications, there are so many alternatives to Microsoft Office. SoftMaker now also offers the full version SoftMaker Office as a free download. If MS office is just out of your budget, then you can go for this sophisticated office suite. 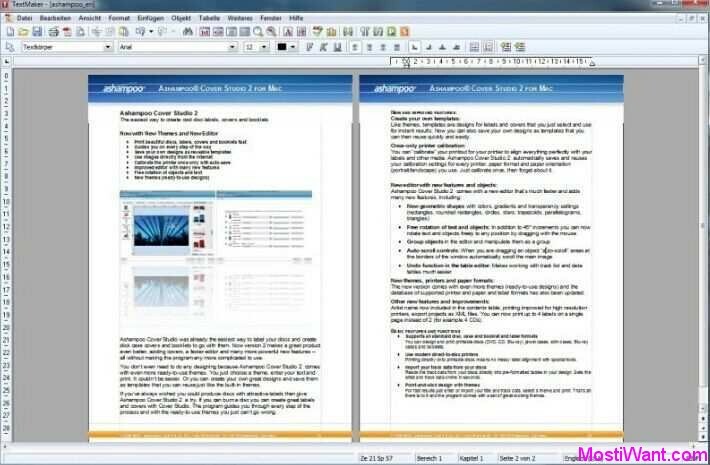 SoftMaker Office is a complete and full-featured office that comes with a TextMaker (word processor), PlanMaker (spreadsheet), Presentations, and BasicMaker (macros for TextMaker and PlanMaker). To be useful in the real world, an office suite needs to be compatible with Microsoft Word, Excel, and PowerPoint documents. 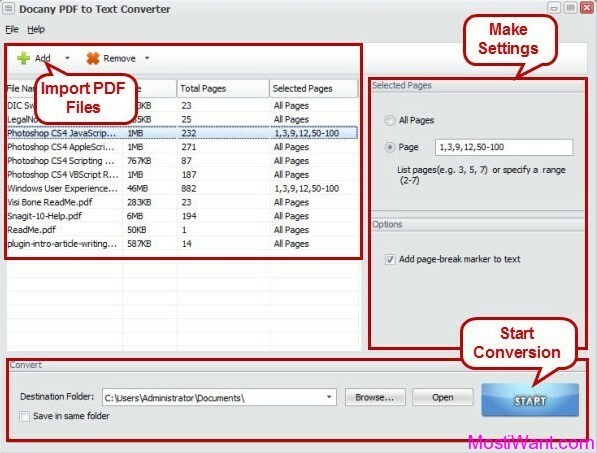 SoftMaker Office fills this requirement competently: It not only works seamlessly with the old Microsoft Office formats DOC, XLS, and PPT, but also faithfully reads and writes files in the new DOCX, XLSX, and PPTX formats that have been introduced with Microsoft Office 2007 and 2010. With this fast, powerful and compatible office suite, you’ll complete your writing, designing and calculating in less time! TextMaker is everything you expect from a word processing software: it is fast, reliable and compatible – simply everything you need to manage your everyday correspondence. But TextMaker is more than just a word processor. The new object mode offers exhaustive layout capabilities for easy flyer or poster design and enables you to position graphics, text frames or drawings anywhere you want to. In an otherwise Microsoft dominated working environment SoftMaker Office performs at its best and provides superior compatibility with Microsoft Office. Simply exchange documents with colleagues and business partners, just like you’re used to. 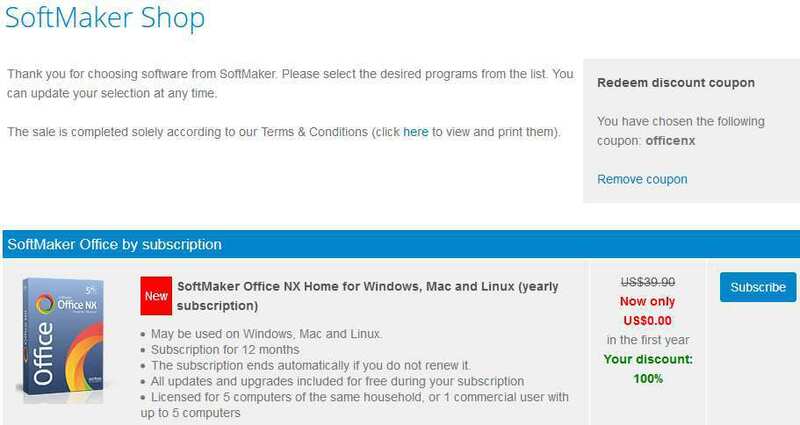 Heise.de are offering free one year subscription of SoftMaker Office NX Home without automatic renewal as part of their “The deal of the day” giveaway. To grab your free copy visit the promo page here, please click blue “SUBSCRIBE” button next to SoftMaker Office NX Home to be redirected to the shopping cart with a discounted offer (please confirm the total is $0) => Proceed to checkout. Enter your Softmaker Software account or create a new one. Proceed to confirm your order and receive the email with the program installer and product key (Windows, Mac, and Linux). 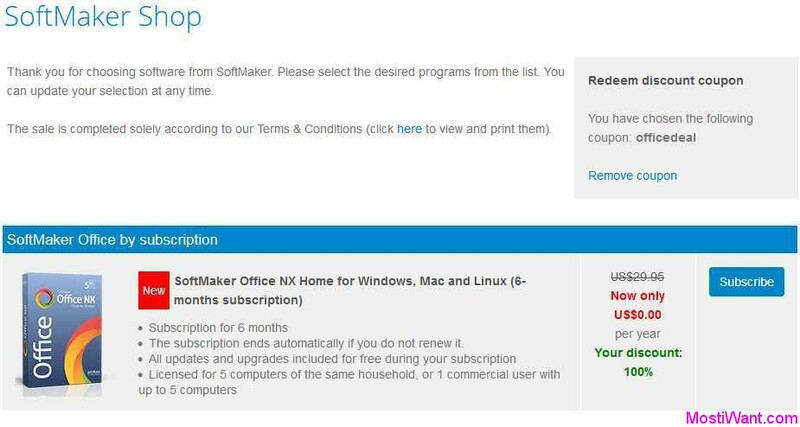 The developer are having a giveaway of SoftMaker Office NX Home (Windows, Mac, and Linux), where everyone can download a 6 months full version copy for free. SoftMaker is giving away fully functional, unrestricted version of SoftMaker Office 2016 for Windows for free (The latest version is SoftMaker Office 2018). Not sure for how long the giveaway is going to last, which means it’s probably best to grab the goods while the offer is still live. Visit the promo page here, enter your name, country and email address, and then then press the “submit registration” button. Usually you will get the email containing your individual product key for SoftMaker Office Standard 2016 within 1 minutes after you press the “Registrierung abschicken” button. If the e-mail hasn’t arrived within 15 minutes, please check your spam, junk mail or promotions mail folder to locate it. 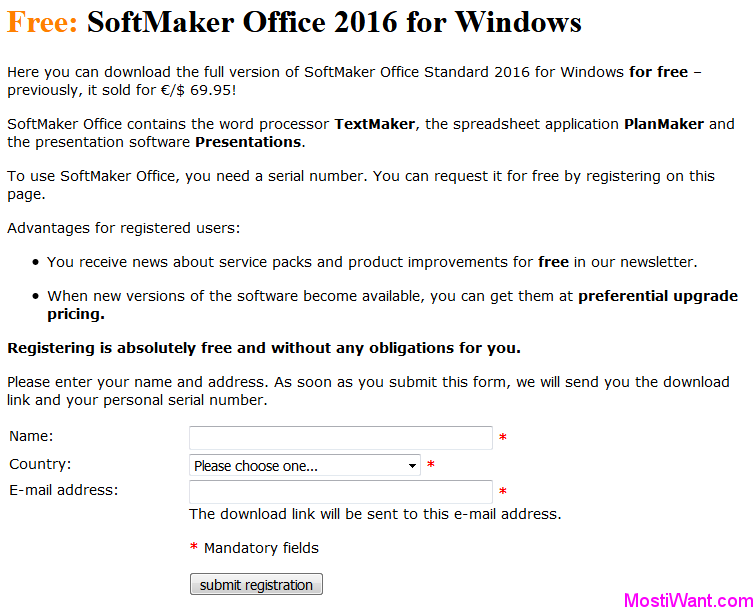 Download SoftMaker Office Standard 2016 for Windows: ofw2016.exe (334 MB). Install and active full version with received product key. Updated: This is an old promo (shard on Mar 29, 2018) but hope it prove useful to the one who may not know abut the promo. Yes, even though Office 2018 is out, I still prefer the 2026 UI over the 2018 UI, so I’ve decided to stick with the 2016 version of OFW. But I did download the the free font collection, which did have some nice ones even for a conservative designer like this Bear. As always, William, a million sincere thanks for all your wonderful efforts in bringing these freebies to our attention. As way of supporting my previously written reviews, I will unequivocally state that I stand by my previous comments and reviews – and further state that almost 3 years later, I’m still using the same using the same software for all my office applications, and still doing Beta testing for them. What’s new in SoftMaker Office 2016? SoftMaker Office 2016 renders graphics even faster than its predecessor, which was pretty nippy anyway, by using several CPU cores, is compatible with Windows XP to Windows 10 and supports both touchscreens and 4K (UHD) monitors. 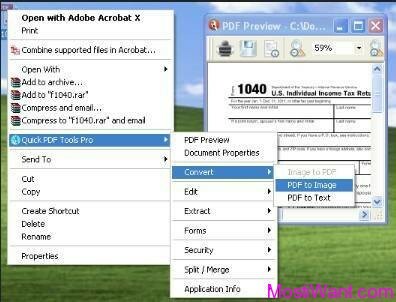 Even better compatibility with Microsoft Office: SoftMaker Office was already viewed as the reference for seamless processing of Microsoft Office documents. The new version, SoftMaker Office 2016, uses revised file filters, whose quality was improved even further. The result: FSoftMaker Office 2016 opens Word document in DOC and DOCX formats, XLS and XLSX format Excel worksheets and PowerPoint presentations in PPT and PPTX formats loss-free. 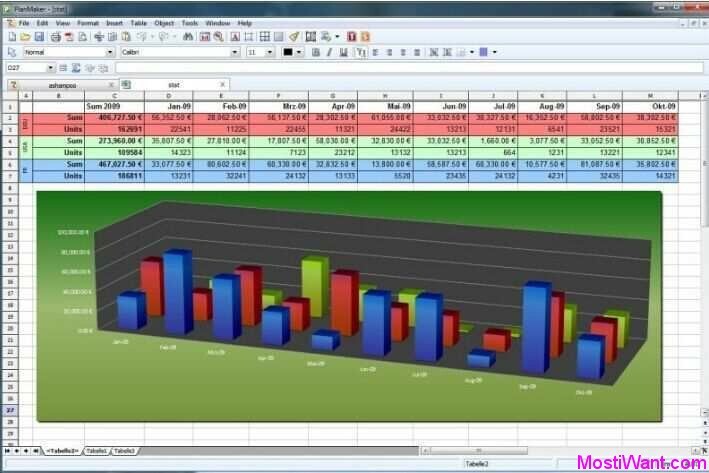 Pivot tables and conditional formatting just as in Excel 2016: The latest PlanMaker 2016 provides pivot tables for sophisticated data analysis at eye-level with Microsoft Excel. Conditional formatting now works as in Excel 2016 – including color bars, marking of the highest and lowest values as well as icons for value trends. Huge worksheets with up to one million rows are now offered by PlanMaker as are additional mathematical functions and new chart types. Improved tables in SoftMaker Office Presentations: The old version of Presentations collated tables from AutoShapes. Presentations now supports genuine tables, like those that can be found in TextMaker or modern versions of PowerPoint. 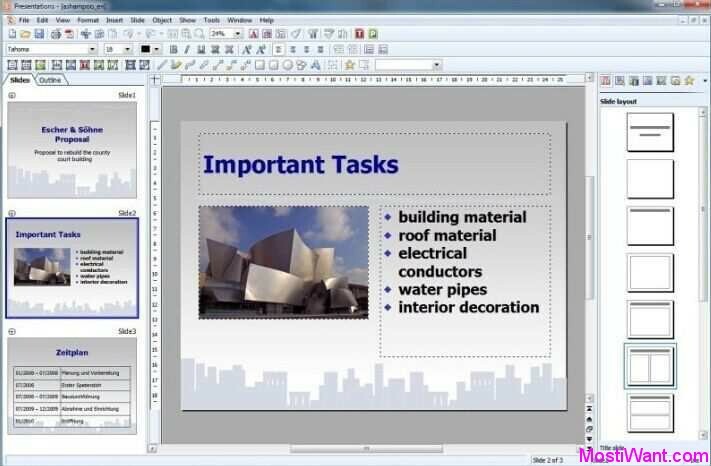 With animations and slide transitions based on DirectX, new SoftMaker Office Presentations gives you a large variety of spectacular effects that make slide shows genuine “eye-catchers”. This is a very good office suite. If I didn’t already have the 2016 version, I’d definitely get this one while it’s free. An update to my earlier review. And yes I still use SoftMaker as my office suite, and yes, I’m still a Beta Tester for them. My comment: I still prefer SoftMaker Suite over anything else, as they are one of the few products that provide a large icon based ribbon toolbar support bar. One major improvement in the 2016 version, you can now direct your backup files to any drive / folder you want. Hi BearPup, thanks very much for your review. First off, I am a Beta Tester for SoftMaker, specifically SoftMaker Office 2016. Second, there have been some major additions and improvements to SoftMaker Office 2016, including my favorite, being able to specify where backup files are stored on your computer. Having said that, the version offered here was the last major version before Office 2016. Further, it offers fully compatible applications to what Microsoft offers in their (overpriced) office suite. 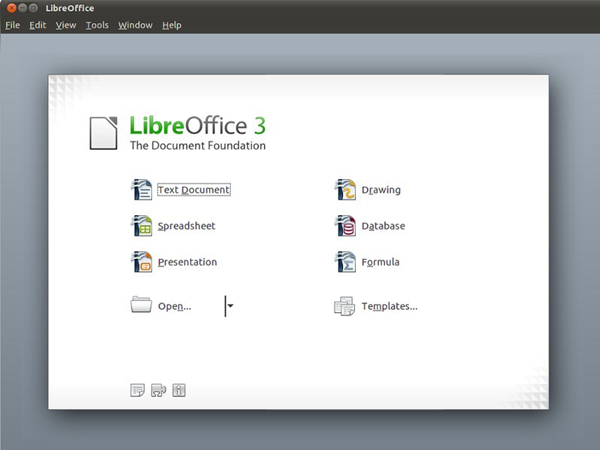 There is also a Free Version of Office, located here at Softpedia: http://www.softpedia.com/get/Office-tools/Office-suites/SoftMaker-FreeOffice.shtml . It was last updated on August 14, 2015, and earned a 5 out 5 rating. Hope this info will help others in their search for a fully compatible office suite. Hi BearPup, thank you very much for the valuable information you provided. How long will the campaign (giveaway)? Sorry they don’t mention this. But the giveaway should last for a long time. “Old” software doesn’t mean that it is of poorer quality than “new” software. In my opinion, the “new” Kingsoft Office Suite (now know as WPS Office) is not as good as Kingsoft Office 2013. Speaking of “new” software, SoftMaker now offers its 2016 version of its office program for free to teachers and schools and only charges $10 for the student license. That’s a pretty good deal if you ask me.